I’m going to be helping finish plaster an office/workshop over the next few weeks. It’s a large structure built with Durisol blocks on the main floor and woodchip/clay infill walls on the second storey. I wanted to show a few “before” shots of the walls so you can get a sense of a couple of different options for building woodchip/clay walls. 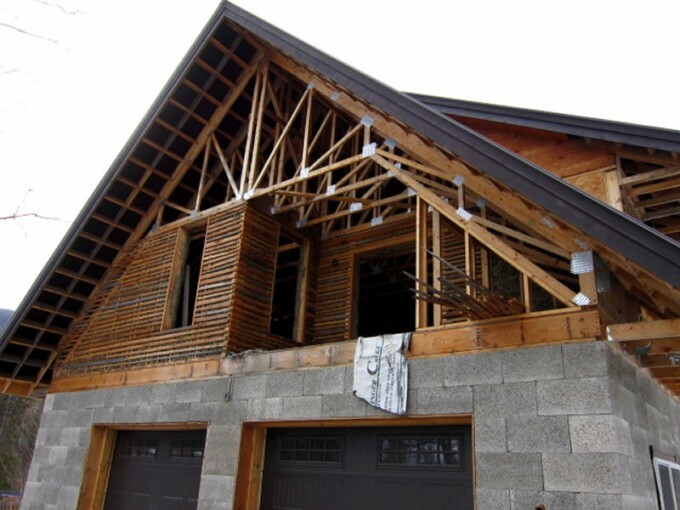 The woodchip/clay infill was done by Peggy Frith and Cindy Walker – two amazing natural builders in the Slocan Valley. Check out the next couple of blogs for close up photos of the infill walls and explanations of the different styles.